Today is a bank holiday here in France so I've had a fairly decent lie in and after waiting hours for these pictures to upload I'm finally able to put up a post! This week has been another great one over here in L'Hexagone. Last week started with a trip to get some forms signed at my landlord's flat in the 1st right next to the Louvre for my CAF application (money from the French government to help with accomodation, more about this in another post coming up!). My pal Charlie and I took this as an opportunity to explore the Jardin des Tuileries and the Louvre at night time as there is a funfair at the moment over there. Whilst we didn't go on any of the rides it had such a great atmosphere which led to us having one of our many "what is my life right now" moments! We then went bowling and headed into Bastille for a €5 cocktail at one of our favourite bars on Rue de Lappe, which is a great street for Latin American bars and clubs with a really fun atmosphere. I can never remember what is called, but it is directly opposite La Havanita, which also has good cocktails (and a particularly clingy waiter). Afterwards we headed to a club called Social Club off the Grands Boulevards, which was pretty cool, potentially too cool for a closet Oceana fan like me but I had a good night. However, despite the fact that I don't smoke, I often like going to smoking areas in nightclubs just to get some fresh air, or to have a conversation without the music in the background. Yeaaaah, no. This club had something called a fumoir, which is essentially a smoking area, indoors. The air was thick, foggy and smelt awful. Lucy stayed over at mine that night and with a couple of other girls from my building we got a taxi home, which came to just over €5 each, which I don't think is too bad for a capital city, but then again Paris is a lot smaller than London. 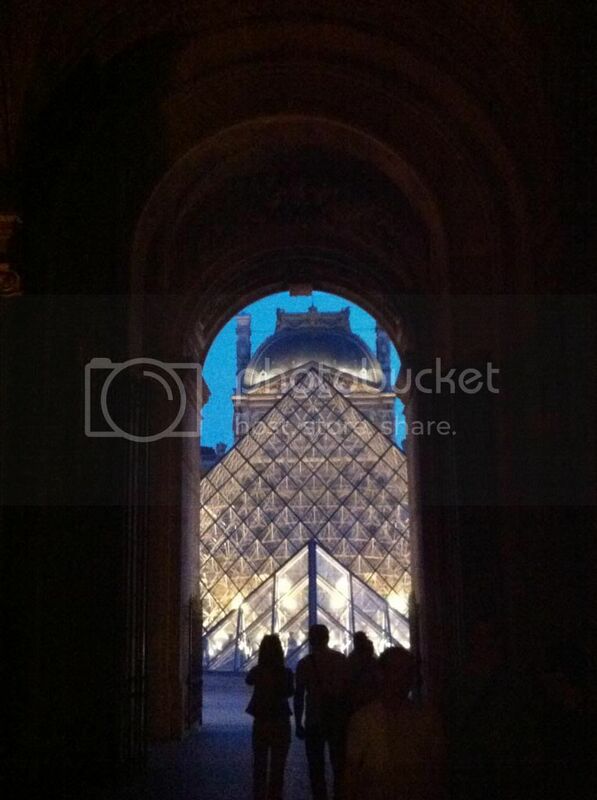 A night time tour of Paris courtesy of Steve! "Il fait toujours nuit sinon on n’aurait pas besoin de lumière"
"It's always night, or we wouldn't need light". Deep. Sunday was a lot more peaceful, with a trip to the Musée Quai Branly right next to the Eiffel Tower with Hellen and Fayida followed by a picnic in our favourite place, the Champ de Mars. The Musée Quai Branly features indigenous art, cultures and civilizations from Africa, Asia, Oceania, and the Americas. I found it really interesting as it had some more modern work, I particularly enjoyed the Americas section. Just a suggestion (as your pics are great already)but how about getting a neat little compact that's good at night shots, you have a great eye for angles etc. but the iSheep doesn't make a great night time camera.